Celebrate your love and commitment with this chic ladies' wedding ring. 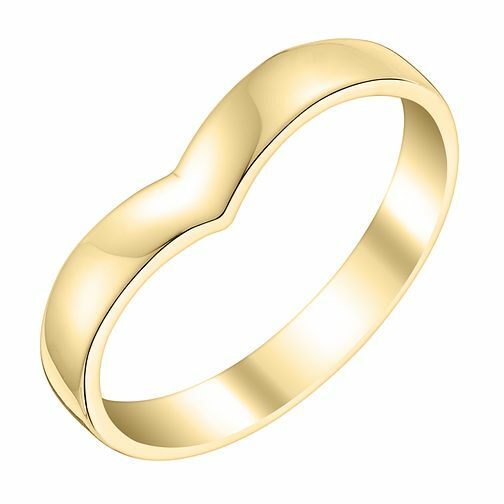 Crafted from sleek 9ct yellow gold, this wide set wedding band is shaped with a slight v shape wishbone style design for style, comfort and fit. Ladies' 9ct Yellow Gold Shaped Wide Wedding Ring is rated 5.0 out of 5 by 1. Rated 5 out of 5 by Anonymous from Beautiful shape i love this ring so elegant and simple. Feels lovely to wear.